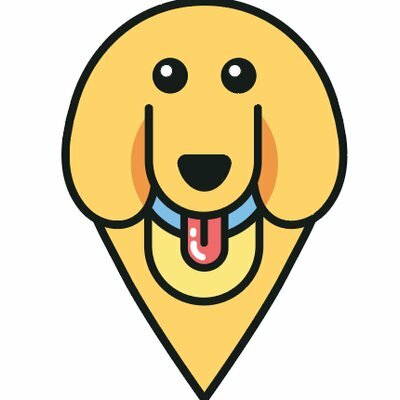 Spring Adventures With Your Pup – furevery – A powerful new app furevery dog parent, furevery dog and furevery dog business. We connect hands with paws. As the spring weather is approaching, we thought it would be a great time to show you trails and parks that you can bring your pup to! These trails and parks are scattered across Ontario and we believe that they should be added to your bucket list. So get ready, grab your pup and plan a trip to one of these locations! Berczy Park is located on Wellington Street East in Toronto, ON. Although it isn’t a leash free park, it’s unique dog fountain drives pup lovers crazy! A perfect spot for a water break (yes, dogs are allowed to cool off in the fountain) or to sit and relax with your furry friend and soak up some sunshine. Bechtel Dog Park is located in Waterloo and offers an open space for dogs to play, as well as trails to go for walks with a beautiful scenic view. The off-leash fenced in area is five acres, so there’s no question about having enough room for your dog to play! High Park is located on Bloor Street West, and it is a leash-free zone! You and your pup can explore the beautiful trails or sit and enjoy a picnic in the park. It is one of Toronto’s oldest and largest parks occupying 400 acres of land. This park is a must see for anyone living or visiting the Toronto area! Bruce Pit is located Cedarview Road in Ottawa ON, it’s a leash-free park and trail for dogs. The trails are just over 3 kilometers long and are surrounded by beautiful nature with an open space available for dogs to play. A great park for you and your pup to spend some quality time together while getting some exercise! Algonquin Provincial Park is located in south-central Ontario and covers 7,630 square kilometers of land! It is Canada’s oldest Provincial Park and has over 10 trails to choose from, each varying in skill level and length. Furry friends are welcome to roam free and explore the beautiful surroundings. You can also spend the night in one of the pet friendly cabins along the lake. We 10/10 recommend making a visit! Located in Vancouver, this park has several trails within 750 hectares of forest. For those who are brave to walk the whole park, it is 10 km and takes approximately 3 hours to complete. For those who are just out for a stroll, you can choose an alternate route to take. Many of the trails are off-leash to let your pup explore the nature. Wreck beach is also located nearby if your dog wants to have a swim afterwards. The perfect ending to a warm day! This dog park is located in Red Deer, Alberta and was made exclusively for dogs and their owners. The park offers trails, open training sites and even an area for small dogs. (Sometimes the big dogs can be intimidating!) Oxbows accommodates all dogs and is the perfect spot for exercise or leisure. We think this park is a must-see for all pup parents! That wraps up our list of trails and parks we think you need to visit with your pup. Plan an adventure and spend some quality time with your furry friend this spring at one of these beautiful locations! P.S. For more ways you can spend quality time with your pup, download Furevery and check out dog friendly events near you!